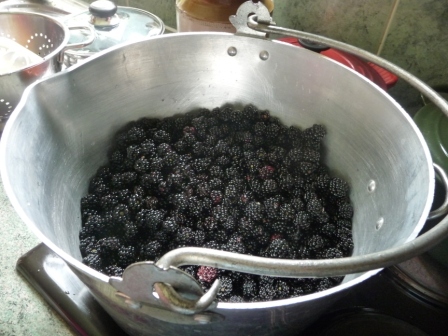 Picked nearly 3kg of blackberries on Sunday. Poor Flo thought she was going for a walk, but instead stood bemused as we kept stopping to delve into the thorny undergrowth to retrieve juicy berries. A successful walk if measured on fullness of bucket, but not if scoring on miles travelled. She doesn’t seem to like blackberries either, so not much to interest her at all. 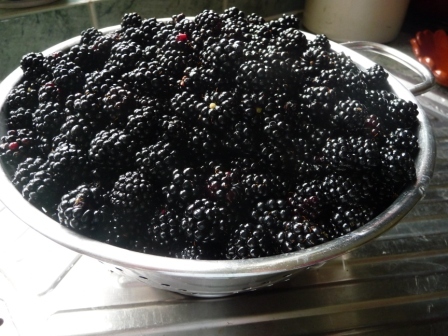 What delectations can be produced with such a mass of free fruit…..well stand aside Paul Hollywood from the Great British Bake Off, who said blackberries are not ideal in cakes. This blackberry and apple cake……oh yes…with crumble topping would give you a run for your money. 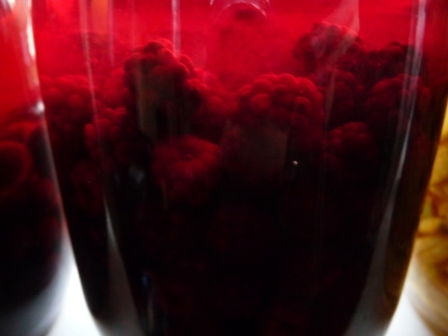 With the rest we have a bounty of blackberry jam and in time for Christmas, a little tipple of blackberry vodka….. and there was still some left to put in the freezer for a blackberry and apple pie treat sometime soon. 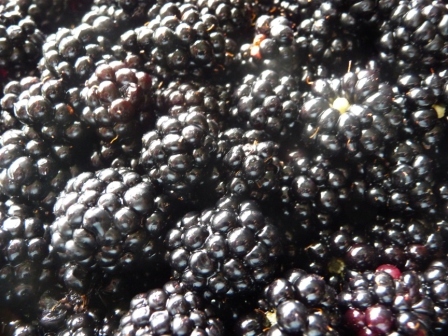 It is apparently a bumper year for Autumn fruits due to the late Spring and early heat wave. We’ve certainly been making the most of the harvest. Julian was also relishing in the prospect of ‘puffball on toast’ for Sunday lunch, having foraged a few from the common on the way home…….luckily he thought he would check first in the fungus book before smothering them in butter and garlic and was disappointed to find out that what he collected were in fact the far less palatable and indeed poisonous Earthballs. Identifiable by their black insides. 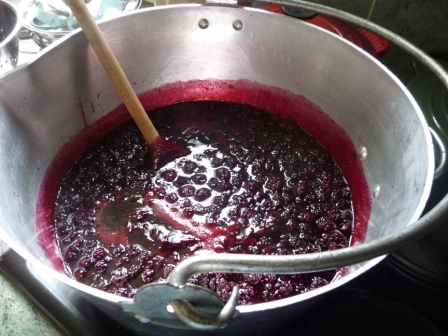 He had to plump for a ham and cheese toasty instead, but at least he was rewarded with blackberry cake for afternoon tea…..
Quickest and easiest jam ever. 30 mins - all done. 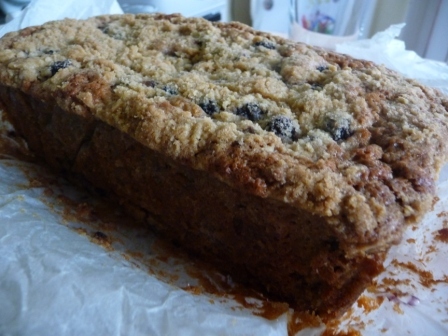 Blackberry and Apple Cake.......one to lock the door and eat in private!